New Directions Education has teamed up with the University of East London (UEL) to offer career advice for their 2012 graduates. The partnership is hoped to create a professional and personable advice hub for newly qualified teachers. 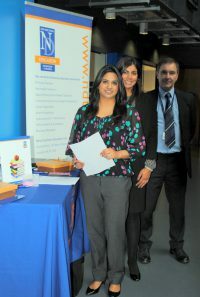 On Thursday May 9 the partnership launched their first careers event at the UEL campus in Stratford. With a series of events including a panel discussion and several workshops, the day attracted over 100 graduates. University of East London offers around 100 different programmes across their Cass School of Education and Communities. These range from under graduate to post graduate, as well short-courses for continuous professional development. The Newham Borough, which houses the Cass School at UEL, and is home to 80% of their students, has exactly 100 schools. These are predominantly infant, junior and community primary schools.